Macarons are one of my favorite desserts but they are very time consuming and a bit difficult to make so I rarely ever make them and prefer to let someone else do the hard work. Then I can just pick them up all nice and packaged and ready to be eaten. 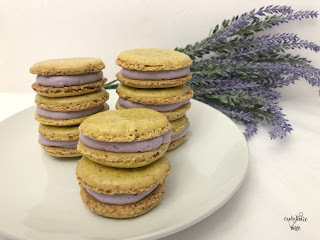 But when I was thinking about what to make for this month’s Improv Cooking Challenge with the ingredients lemon and lavender, it felt like a macaron kind of recipe. 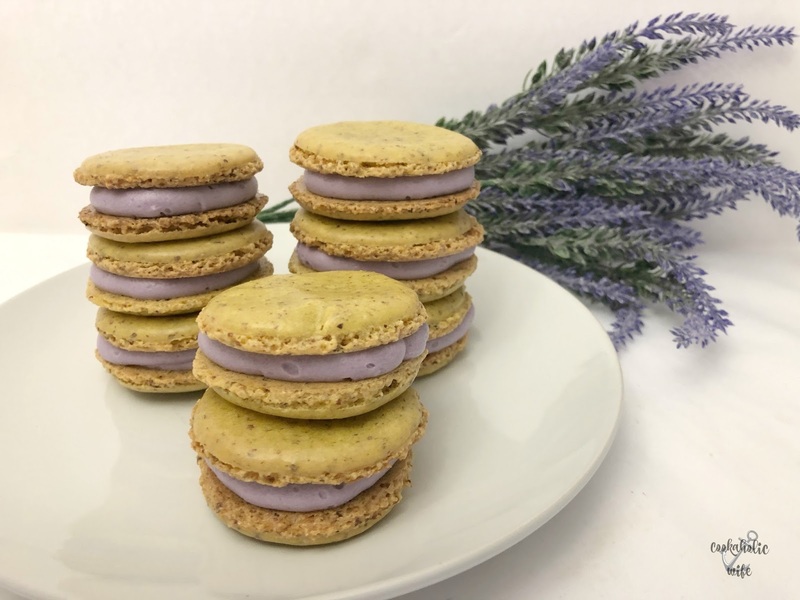 Lavender has always struck me as a fancy ingredient and macarons are definitely fancy, so putting them together seemed to be the perfect choice! You can also read more about the event on our our home page. If you’d like to see previous creations, check out our Pinterest board. I don’t think I’ve ever had a dessert with lavender before so I went light on the extract in the buttercream to not make it too overpowering. If you are a fan of lavender or have baked with it before, feel free to increase the amount of extra to a teaspoon. 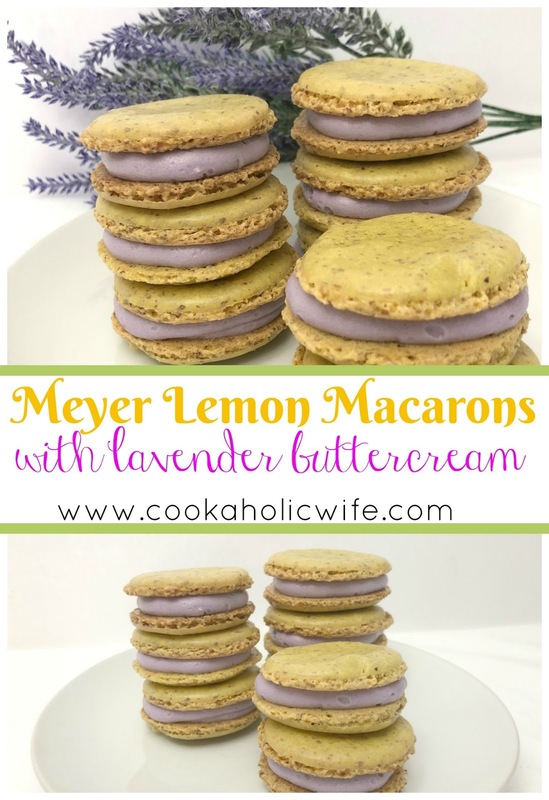 Perfect for spring, these meyer lemon macarons with lavender buttercream are sure to impress anyone. Prepare the lemon curd first. Zest the lemons until you accumulate 2 teaspoons of zest. Juice the lemons until you get to ½ cup. 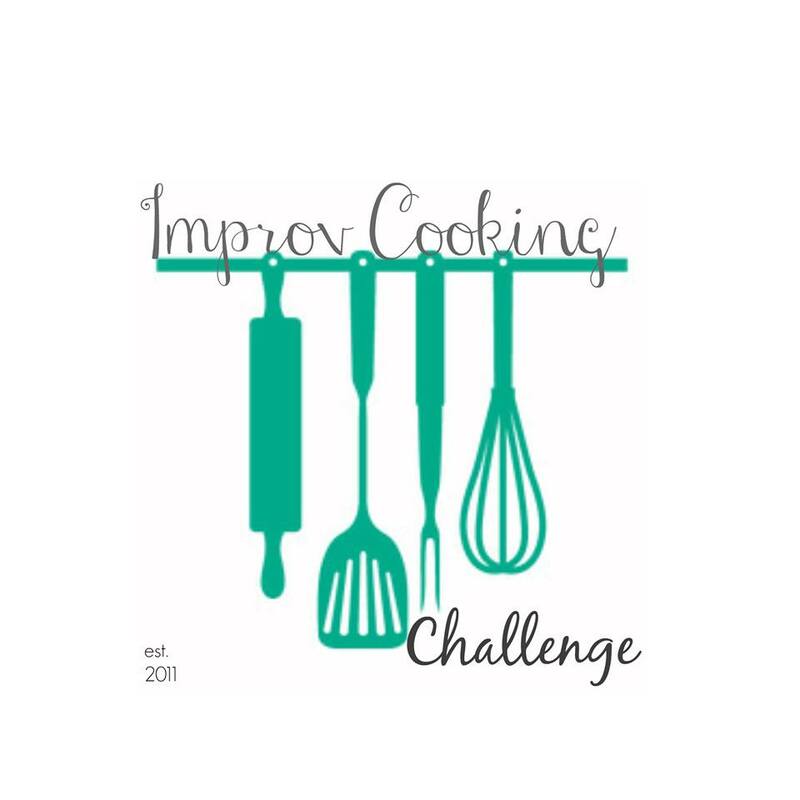 In a heat safe glass bowl or the top pan of a double boiler, add the zest, juice, sugar and eggs. Whisk to incorporate. Place over a pot of simmering water. Add the butter and whisk until the mixture begins to thicken. Whisk frequently until the mixture turns a golden yellow color and is thick enough to coat the back of a spoon. When it reaches that consistency, remove from the heat. Place a mesh sieve over a bowl and strain the lemon curd through it. Cover with plastic wrap pressed against the mixture to stop a skin from forming. Refrigerate until ready to use. Add the almond meal to your food processor and pulse for 2-3 minutes or until very, very fine. Add in the powdered sugar and pulse, scraping down the sides of the processor until the mixture is as fine as sand. Add ⅓ of the almond meal mixture to the egg whites and gently fold in by hand. Add another ⅓ and mix in by hand until incorporated. Finally, add in the remaining dry mixture and fold in until the mixture is fully combined. Transfer the mixture to a piping bag with a large round dip and pipe 2-3 inch circles on parchment paper or a silpat on large baking sheets. Set aside until the rounds are hardened and no longer tacky to the touch, anywhere from 45 minutes to an hour. Prepare the buttercream by adding the butter, powdered sugar and extract to the bowl of a stand mixer. Beat on low speed until the powdered sugar is mixed in, then add the milk and food coloring. Increase the speed of the mixer and beat until it reaches the consistency of frosting. Bake the macarons for 18 minutes or until glossy. Allow to cool completely, until you can easily remove them from the parchment or silpat. Once completely cooled, match cookies of the same size into pairs. Flip one cookie of each pair over. 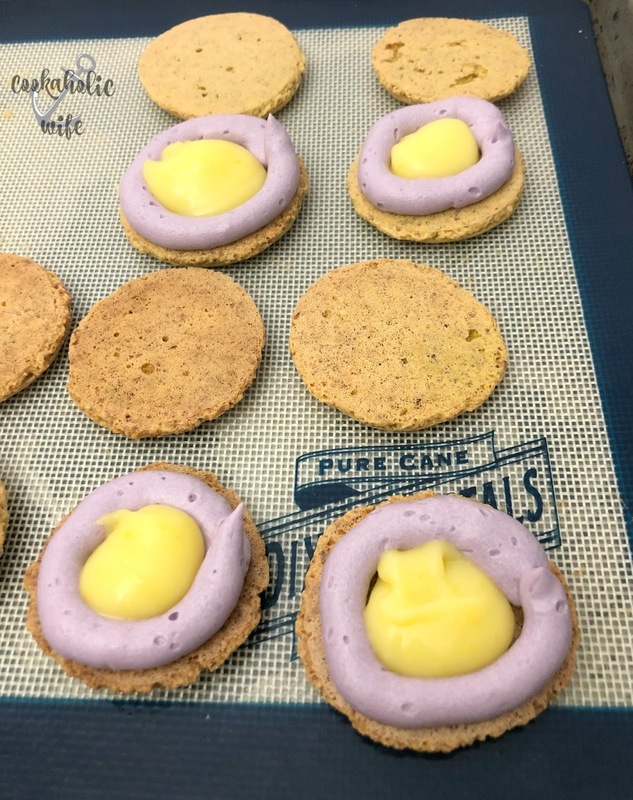 Transfer the buttercream to a piping bag with a large round tip. Pipe a round of frosting around the outer part of the cookie. Add a dollop of lemon curd to the center. Repeat with remaining cookies and pair cookies back up, pressing gently to allow the buttercream to adhere the other half of the cookie together. Prep time includes allowing the macarons to set for 1 hour prior to baking. 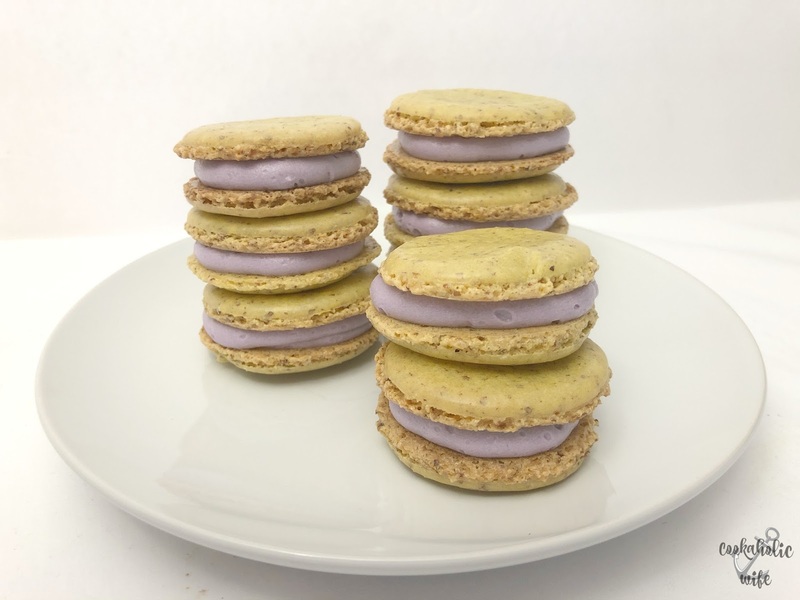 Macaron ingredients are listed in grams as it’s best to use a precise measurement. 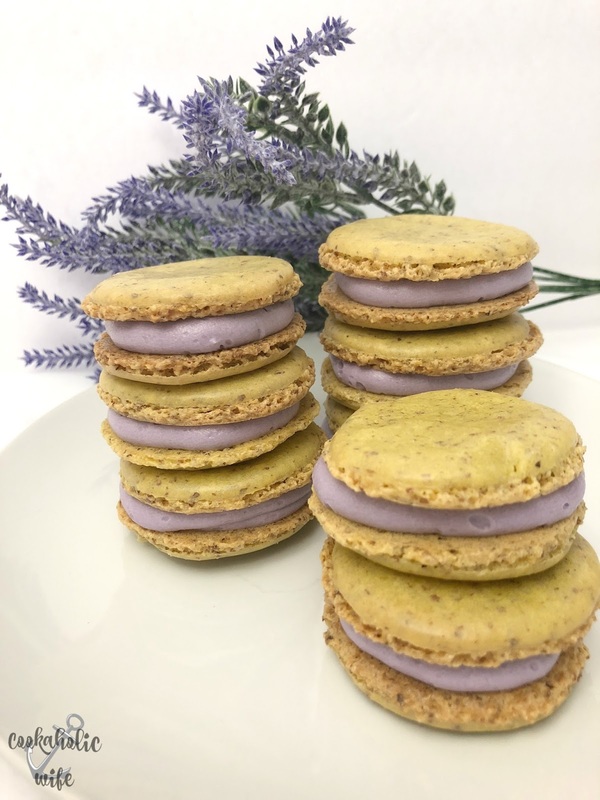 I think the next time I attempt to make macarons I’m going to have to use the dry container of my Vitamix to blend the flour and powdered sugar together. I first put the almond meal in the food processor by itself for a few minutes and then did five minutes with the powdered sugar and I still don’t feel like the batter was light enough to properly make the cookies look the way they are supposed to. The macarons turned out a little denser than they’re supposed to be, but they’re full of great flavor. 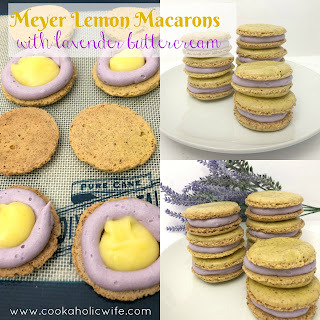 The floral notes from the lavender and the tang of the lemon curd pair really well together.